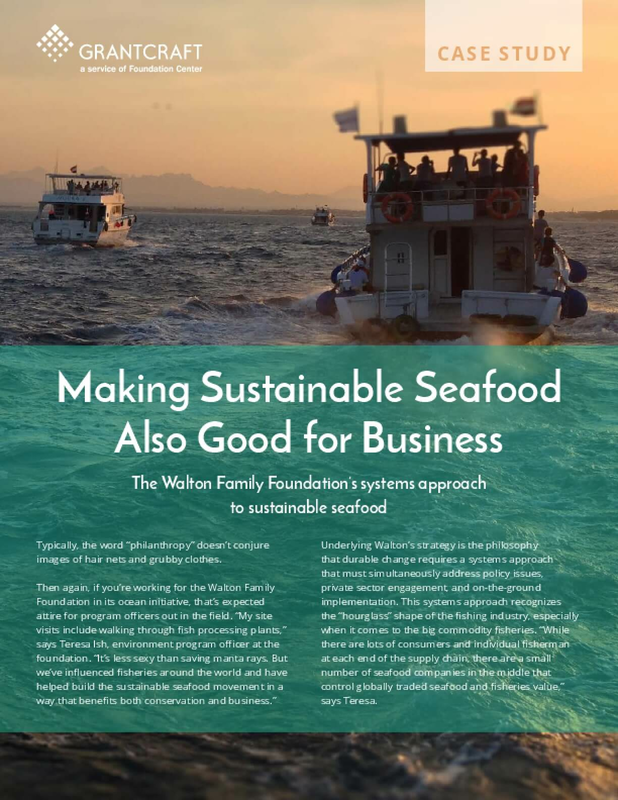 This GrantCraft case study, developed for Foundation Center's FundingtheOcean.org portal, explores how the Walton Family Foundation, isusing a systems approach to make the seafood business more sustainable. It includes the perspective of one of it's grantees in the area, the Sustainable Fisheries Partnership, and how they worked together with industry and private partners to create a tipping point in the business practices of fisheries producing seafood commodity products. Also interviewed for this case study is ORS Impact for their perspective on what’s unique about the economics of sustainable seafood? Read the case study.